CommonBond is a marketplace lender specializing in student loans and loan refinancings. The company was founded in 2011 by university graduates who were struggling with student debt and wanted to provide a better alternative to other student loan borrowers. Since then, CommonBond has grown rapidly to fund more than $2 billion in new student loans and loan refinancings with an approach that involves competitive interest rates and simple loan options. The latter has a fixed interest rate for five years and a variable rate for the remainder of the loan. Refinance loans have terms of 5, 7, 10, 15, or 20 years with variable rates starting as low as 2.55%. These competitive interest rates are among the main reasons to consider CommonBond to refinance your student loan debt. Like SoFi, its major competitor, CommonBond targets prime borrowers, so you will need good or very good credit to be eligible. Before signing up, here’s what you should know about CommonBond student loan refinancing solutions. What Types of Refinancing Does CommonBond Offer? Why Choose Fixed Rate Loans? Why Choose Variable Rate Loans? Why Choose Hybrid Rate Loans? Is CommonBond Student Loan Refinancing Worth It? Repayment Calculation: How Much Can You Save? Is CommonBond Refinancing Right for You? 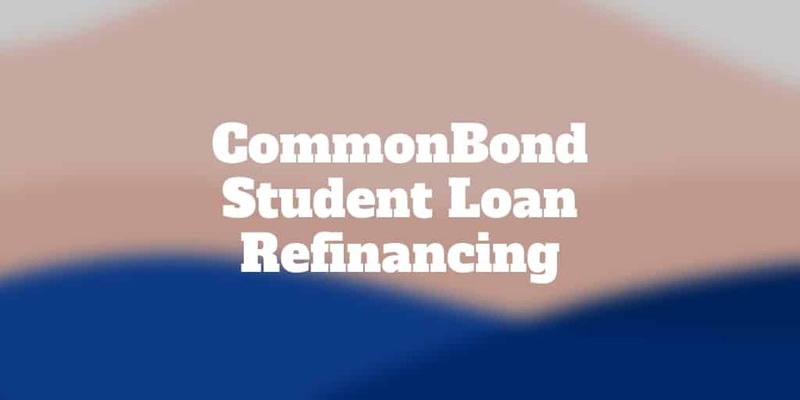 CommonBond refinances student loans of $5,000 to $500,000 with fixed, variable, and hybrid loans for up to 20 years. The APR depends on the loan type as well as your credit profile and other factors. A fixed refinance loan is a good option to lock in a low interest rate that won’t change over the life of your loan. You will always know how much you will pay each month. Many student borrowers choose to refinance from a variable rate to a fixed rate for greater predictability and stability of monthly payments. CommonBond offers fixed loans with an APR of 3.2% → 7.25% and a term of 5, 7, 10, 15, or 20 years. Variable rate loans offer lower interest rates ranging from 2.55% → 7.25%, but your rate can rise or fall with market conditions. Because rates have been at historic lows, there is a good chance that your interest rate will rise in the future, especially with a longer-term loan. CommonBond offers variable rate loans with terms of 5, 7, 10, 15, or 20 years. CommonBond also offers a hybrid refinancing option. This loan option has an APR of 4.3% → 6.31% and a term of 10 years. The loan has a fixed rate for the first five years and a variable rate for the final five years. The hybrid loan option gives you predictable payments early on, and it is usually less expensive than a seven-year fixed-rate loan if you know you can’t repay your balance in five to seven years. Student Loan Refinancing Worth It? If you qualify, CommonBond refinancing can save you a substantial amount of money. Federal student loan rates have climbed to over 6% for Direct loans, and Stafford loans now have a rate of 5.04%. Parents who take on federal student loans to help children will pay 7.59% on new loans. Federal student loan rates are tied to the market and currently have a cap of 10.5% for parent loans, 9.5% for graduate loans, and 8.25% for undergraduate loans. Private student loans often have even higher interest rates. A recent report found the average variable rate for a private student loan is more than 7.8%, and the average fixed rate is 9.66%. CommonBond, on the other hand, offers competitive rates as low as 2.55% for a variable loan and 3.2% for a fixed loan. To estimate how much you can save, let’s assume you have an excellent credit rating and a student loan balance of $37,000, which is average. Further assume that you pay 9.9% on your current loan. If you qualify for a new 10-year loan with a fixed rate of 3.2% through CommonBond, your monthly payment drops from $487 to $361. You will pay $6,200 in interest over 10 years instead of $21,400. This creates total savings of more than $15,000! CommonBond has a student loan refinancing calculator to help you personalize the results and explore your loan options. CommonBond offers a few features that are rare among student loan refinancing companies. One of the biggest perks is that they charge no origination fees or prepayment penalties. The interest rate you are quoted is what you get. This means that you don’t have to worry about fees added to your balance, any out-of-pocket money to refinance, or penalties for making extra payments. CommonBond also offers a forbearance option. This safety net is a form of protection that temporarily postpones payments due to a financial hardship, such as the loss of expected income. You must be less than 60 days delinquent to qualify, but CommonBond offers forbearance for up to two years. If you suffer a major setback in the future, you can rest easy knowing that you have a backup option with your loan. When considering CommonBond to refinance your student loan, make sure that you are aware of the lending platform’s unique pluses and minuses. In general, CommonBond offers competitive low rates on fixed, variable, and hybrid refinance loans with a range of term options and forbearance programs. However, it isn’t available in every state. ✅Low Interest Rates: Rates for variable and fixed refinance loans are very competitive; they beat archrival SoFi. ❌ Loans Not Available in Every State: CommonBond currently lends in 47 states, but it does not lend in Mississippi, Nevada, or Vermont. ✅Ownership Transfer: CommonBond is one of the few lenders that allows you to transfer a student loan from a parent to a child when the loan is refinanced. This option is only available when the parent is a co-signer on the loan. ❌ Bachelor’s Degree Requirement: To refinance your student loan, you must be a graduate of an eligible school and have at least a bachelor’s degree. More than 2,000 Title IV accredited schools are eligible. ✅Forbearance Program: In certain circumstances, CommonBond offers temporary forbearance in the event of an economic hardship. Forbearance allows borrowers to postpone payments for up to two years, the longest forbearance program in the industry. ❌ Excellent Credit Required: CommonBond targets high earners with super-prime credit. Most people approved for CommonBond student loan refinancing have credit scores in the high 700s, although the minimum credit score required is in the high 600s. ✅Several Loan Types: CommonBond offers fixed, variable, and hybrid loans with several term options ranging from 5 to 20 years. ✅Co-signer Release: CommonBond will allow the release of the co-signer after two years of on-time payments. ✅No Fees or Penalties: There are no origination fees or prepayment penalties with CommonBond refinance loans. ✅Rate Discount: If you enroll in autopay, you will receive a 0.25% interest rate discount on your loan. ✅Social Promise: For every loan provided, CommonBond funds the education of a child in need for one year. A CommonBond refinance loan isn’t for everyone. CommonBond has a high hurdle to get approved because it targets borrowers with excellent credit and a high-wage job. If you meet the qualifications, however, CommonBond can be a good choice to potentially save hundreds or thousands per year on your student loan repayment with very competitive interest rates and flexible loan terms. When applying, you will need to provide personal, educational, and employment information on your application. CommonBond makes it fairly easy to apply for a loan. After creating an account, you will need to provide basic information, including your date of birth, address, citizenship status, and monthly mortgage or rent payment amounts. After providing the estimated amount you need to refinance, you will agree to federal disclosures, and a soft credit inquiry will be performed. If you do not qualify for refinancing, you will be asked to provide a co-signer. If you are approved after the soft credit pull, you can choose the term for your loan. You will see several loan quotes with estimated APRs and monthly payments based on the term you select. Once you select the loan term you want, you will need to provide your full Social Security number for a hard credit pull. This will give you actual loan offers with real rates. The final step is choosing the loan quote you want and e-signing the loan documents. Once your application is approved, your student loans will be paid off by CommonBond with payments sent to your loan servicers. SoFi is CommonBond’s biggest competitor, and they have a lot in common. Both offer competitive rates, no origination fees, and no prepayment penalties. However, there are subtle differences between the two that are important to compare. When it comes to interest rates, SoFi offers fixed rates starting at 3.899% and variable rates starting at 2.48%, including the autopay discount of 0.25%. By comparison, CommonBond offers fixed loans as low as 3.2% and variable loans as low as 2.55%. Although SoFi is more competitive with variable loans, the advantage definitely goes to CommonBond when it comes to fixed refinance loans. With 5-, 7-, 10-, 15-, and 20-year refinance loans available, both companies offer the same durations. Only CommonBond offers a hybrid loan option, however. There are a couple of ways in which CommonBond comes out ahead. Only CommonBond allows co-signer release, and CommonBond has a much longer period of forbearance. SoFi only offers unemployment protection with forbearance if you are terminated through no fault of your own. This feature suspends payments for three months initially and up to 12 months over the life of your loan. There is one area in which SoFi is the winner: qualification requirements. While CommonBond requires at least a Bachelor’s degree, SoFi accepts borrowers who graduated with an Associate degree. One of the more unique aspects of CommonBond is its Social Promise. The lending marketplace has partnered with Pencils of Promise, a nonprofit that helps fund overseas education in developing nations. For every loan refinanced through the CommonBond platform, the company funds a child’s tuition in Ghana for one year. CommonBond has already donated more than $1 million to students through its Social Promise initiative. If you have excellent credit, you may be a good candidate for student loan refinancing with CommonBond. The interest rates are hard to beat, with flexible options on fixed, variable, and hybrid loans over terms of 5 to 20 years. CommonBond also offers benefits that are hard to come by with other student loan refinancing options. These include no prepayment penalties or origination fees. Additionally, the company offers co-signer release, transfers of parent loans, and a long forbearance option. The main downside to CommonBond is the approval process, which requires super-prime credit and a high-paying job. ‹ What Does NordVPN Do?